Workout: 3×800 @ 2:50 pace w/ 400 jog. Weather: 77 degrees, sunny. Recap: Texas! Moved back home yesterday. I miss it. 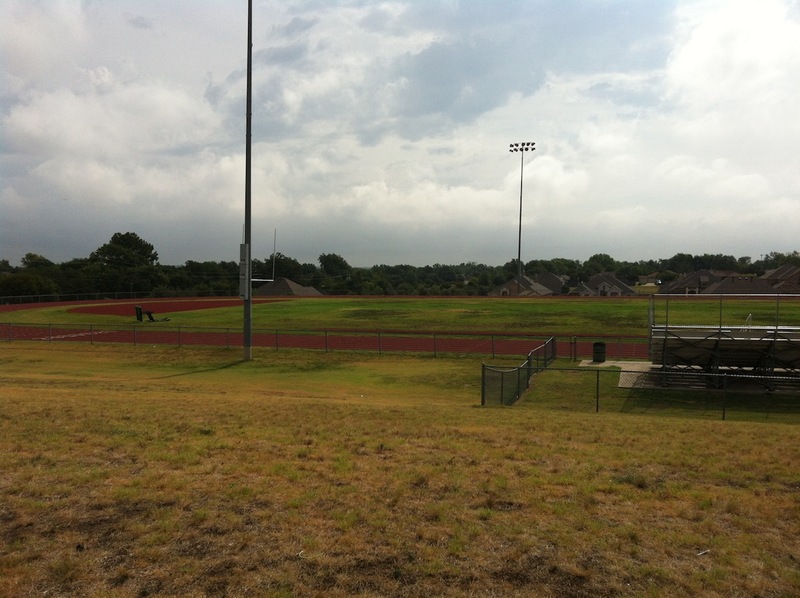 Here’s a shot of the track where I do my speedwork. It’s changed a bit since I was last here. Used to have black surfacing and was poorly kept. They’ve re-done it. And it’s very nice. I don’t miss the heat and humidity though. Sheesh. Broke out the track spikes for the first time in forever, and it turned out to be a great workout. Averaged 2:46 for the workout. Felt great. Left foot is still sore a little bit, but I’m going to try the time trial again on Saturday anyhow. I’ll just do it on the track…in spikes…early in the morning. 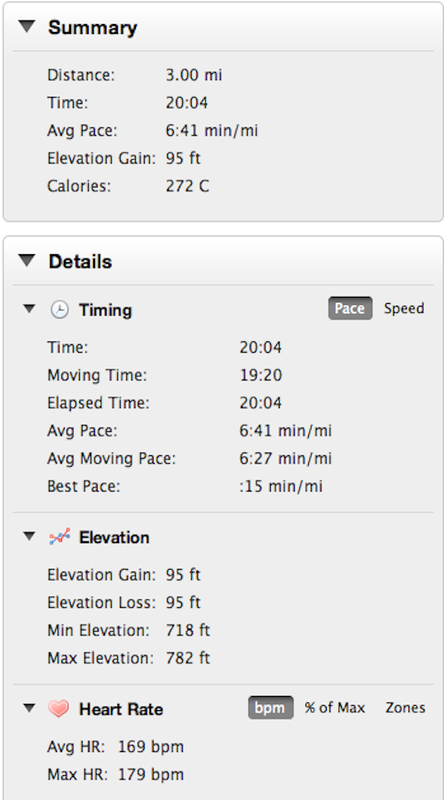 Really excited about the progress from running every other day instead of every day. I’ll open up the Fall doing this as well. Workout: 4×800 @ 2:50 pace w/ 400 jog. Weather: 72 degrees, sunny. Recap: Eh, I can do better. I meant for this to be 6×800, but I stopped at 4×800. 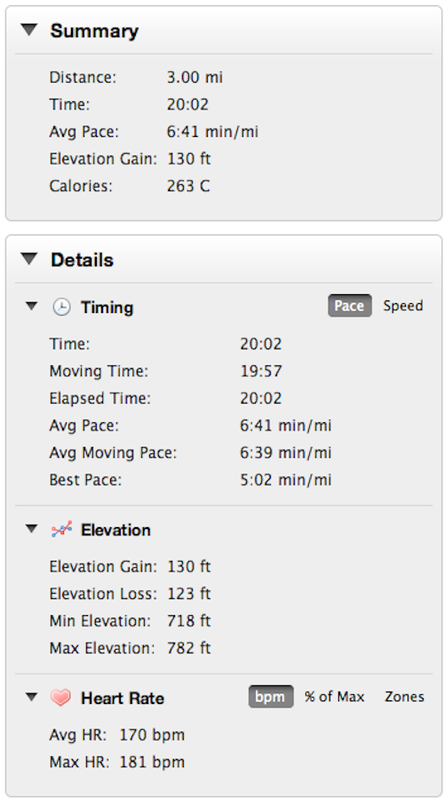 Average 2:54 per 800 instead of the planned 2:50. In hindsight, I probably could have squeezed out one more, but I didn’t step up. Not a terrible workout even though I didn’t complete it. The important thing after a run like this is to remember the positives: (a) I put some work in (b) on a hilly course and not on a track and (c) recovery will be more important than the work itself. Looking forward to having better speedwork sessions in the future. Left foot feels a little sore on the outside. Going to ice it and get ready for the easy run tomorrow. Workout: 3 miles @ 83 to 88%; core work. Weather: 59 degrees, sunny. Recap: Warmer day than yesterday. Same heart rate. Faster pace. Sounds like recovery to me. Spent a good deal of time last night working with the stick roller. Can’t believe how sore some spots in my legs are especially the quads, shins and calves. Someone wrote that it took them 3 weeks of rolling not to feel pain anymore. I’d imagine it’s going to take me even longer. Also used it on my arms and back as well. I can feel the results a little bit. Stride is a little bit quicker and the arms move a little bit easier. Just a little less stiff overall. 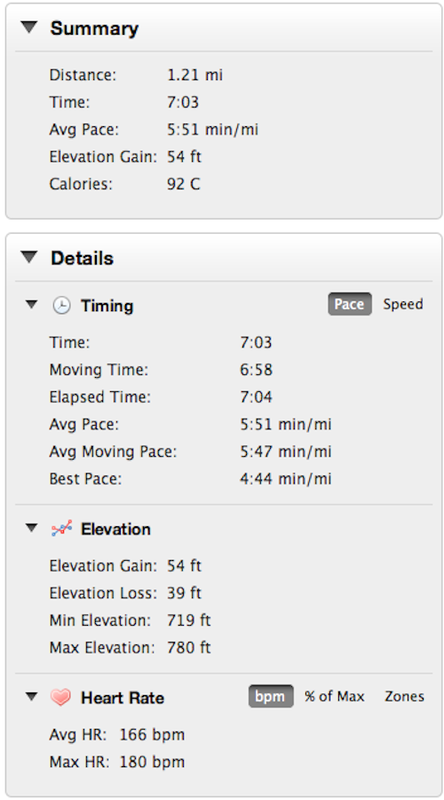 Workout: 1.17 miles @ 5:50 pace. Weather: 57 degrees, sunny. 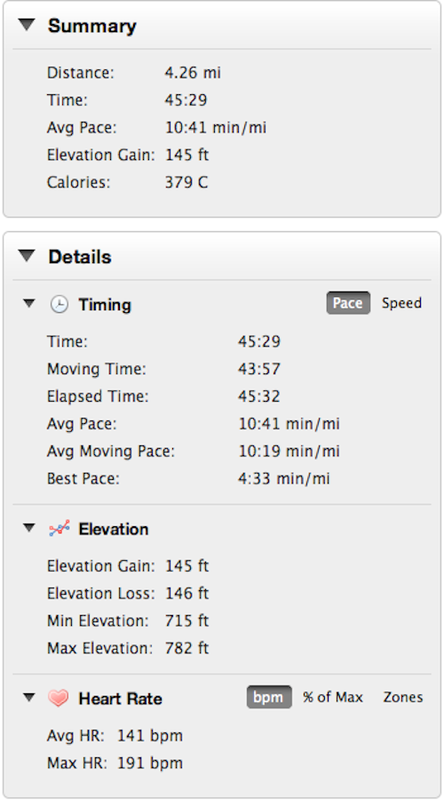 Recap: Not a bad short run, but I’m going to have to rest. 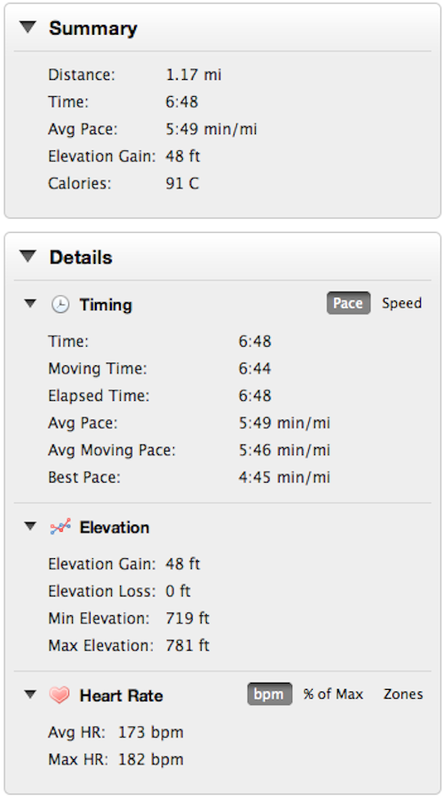 Great weather outside, but I still had to cut it short at 1 mile. I get the point. Legs are sore top to bottom, and it’s probably going to take time to heal. Core work and reading until it’s time to come back. Hopefully, I can get back out there in good shape before the middle of August. Down time isn’t such a bad thing, I think. Going to try to learn something from this summer as well and prepare another plan for the fall.